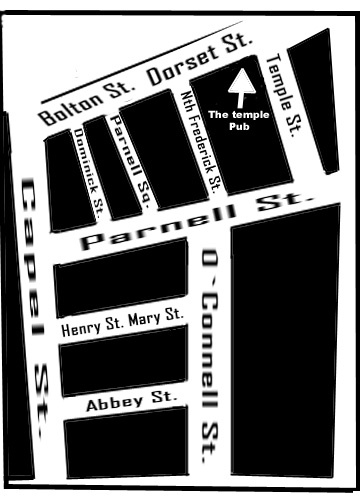 The Temple Pub Dorset St. The First And Last Friday of every month. Opening night was on the 28th of Dec. 2001. Admission 6.50 euros and 5 euros with a flyer. December 13 th "regular club"
December 27 th "Post Xmas Piss up"